In San Diego, The Fairbanks Ranch Country Club offers 27 picturesque, walkable holes and three different course layouts. However, since it’s part of Bay Club Properties, travelers can also opt-in to an all-access pass that grants privileges to its sister courses throughout California. Adult club members can enjoy tennis and a group fitness classes while the little ones are entertained with age-appropriate activities at the Fairbanks Ranch Kid’s Club. If you’re looking for a uniquely challenging experience should head to The Farm’s Golf Club. Also, part of the Covenant of Rancho Santa Fe, it’s famous for being one of the most challenging courses off the tee in Southern California. The Farm’s began as a 240-acre cattle ranch and was transformed in 1984 by iconic course designers Pete, Perry and Alice Dye with the help of multi-time PGA Tour champion, Tommy Jacobs. These days, it’s considered a top training spot by Phil Mickelson and other PGA elite. Morgan Run is another club situated within the covenant of Rancho Sante Fe. Located just a few miles from Del Mar and the Pacific Ocean, members can enjoy a 27-hole, championship golf course, plus a 320-yard driving range and short-game facilities. The club also offers complimentary golf lessons on weekends and a year-round schedule of camps, clinics, and leagues to help you hone your skills. Dedicated to offering a full-service experience to its members, access to tennis courts, a day spa, and an expansive fitness center. After a day full of activities, members can unwind at one of the club’s two dining options, which are known for highlighting the best of California cuisine. Owned by Madeleine Anne Pickens, the daughter of a famed English course designer, Del Mar Country Club - a Rancho Santa Fe property - aims to give its members a fittingly regal experience. The 18-hole championship course is accented by an iconic 55,000 square-foot clubhouse. It’s home to two separate fitness centers, tennis courts that are scaled to match those from the US Open and two restaurants - The 19th Hole & Safari Club - that base their menus around seasonal, organic ingredients In addition, its many distinct event spaces, including a separate beach house, are set up to ensure that the feel of your special occasion will be exactly what you’ve been dreaming of. Aside from the privilege of playing on its naturally-sculpted par 71 course, membership at The Bridges at Rancho Santa Fe comes with some unparalleled benefits. Most notably, the concierge service provides VIP access to everything from private jets to world-class physicians, and a full list of complimentary for-hire services. The club itself comes equipped with a state-of-the-art fitness center, an indoor basketball court, a volleyball court, and the separate Tennis & Rec Centre, which offers a full calendar of clinics and social activities. Legendary designer Tom Fazio built the Grand Golf Club at Fairmont Grand Del Mar to showcase the beauty of Los Peñasquitos Canyon. The 7,160-yard course to include dramatic elevations, diverse bunkering and lush fairways. Members can improve their game with the help of PGA-certified instructors or enjoy a variety of other outdoor activities. The club boasts several pro-style tennis courts, an equestrian center, and four luxurious pools complete with a poolside bar and private cabanas. Those looking to relax can also enjoy the club’s on-site spa. Known for its breathtaking views of the Pacific Ocean, The La Jolla Country Club is a par 72 course, offering 5,594 yards from the forward tees. The club also is home to a Phil Mickelson-designed short game facility and a variety of golf programs, catering to the needs of male, female, and junior players. After the game, you can unwind at one of the venue’s three a la carte dining options. The Santaluz Club was designed to give members the ultimate Southern California experience. Rees Jones designed the course with the intention of highlighting the best of the SoCal grasslands and the area’s Spanish Colonial influence can be seen throughout the clubhouse’s interior. With it’s 400-member maximum, the club strives to offer an exclusive luxury experience to all who take part. The clubhouse dining room overlooks the Santaluz Vineyard and is a perfect spot to view the sunset. A plethora of activities, ranging from its indoor gymnasium and athletic center to an on-site spa, and kid’s camp program, make The Santaluz Club the perfect choice for the whole family. The only course designed by Arnold Palmer, The Aviara Golf Club is famous for the memorable coastal views that line its fairways. Perfect for players of all ability levels, its signature golf academy earned the honor of being called a Top 25 U.S. Golf School by Golf Digest Magazine. 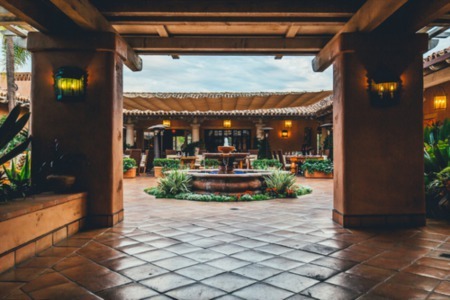 Since the club is part of Park Hyatt Aviara Resort - a Forbes Five Star and AAA Five Diamond Resort - members have access to the property’s high-end amenities, including five restaurants. Diners can enjoy a regional Italian menu at Vivace or contemporary cuisine at Argyle Steakhouse. Named a Gold Medal Resort by Golf Magazine for five years running, the Omni La Costa offers not one, but two championship courses for visitors to choose from. After a few rounds, guests can spend time at one of the resort’s eight pools or get a game in one of their many tennis courts. Those looking for a holistic experience can stop in at the Spa at La Costa, where they can indulge in a full range of treatments featuring organic ingredients sustainable products. Those searching for a public golf experience should look no further than the Maderas Golf Club. One of only two open courses in San Diego, it’s been named one of Golf Digest’s Top 100 Greatest Public Golf Courses. This course is a nature-lover’s paradise because it’s situated on over forty acres of land and golfers have the opportunity to play around three lakes and a myriad of waterfalls. Those looking for diverse golfing experience should consider The Lomas Santa Fe Country Club. There are two distinct courses to choose from - a par 72 and a par 56. Beyond the fairways, members also have access to tennis and pickleball courts, a full fitness center and three pools. Unique to Lomas Santa Fe, joining also offers you a chance to enroll in The Palmer Advantage, which comes with exclusive travel benefits. Need More Information on San Diego Country Clubs? 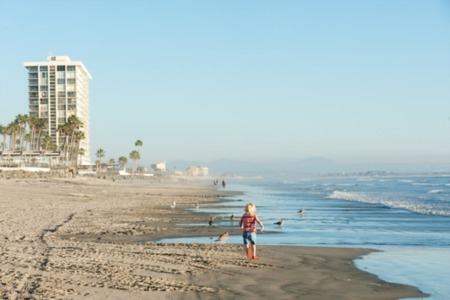 If you’re thinking of moving your family to San Diego, you can rest assured that San Diego’s country clubs and golf courses won't disappoint. For more information on San Diego and the surrounding areas, please do not hesitate to contact Aumann Bender & Associates. We look forward to hearing from you and welcome the opportunity to help you find the home that best suits the needs of you and your family.